Growing up, I attended a Quaker school in downtown Philadelphia. 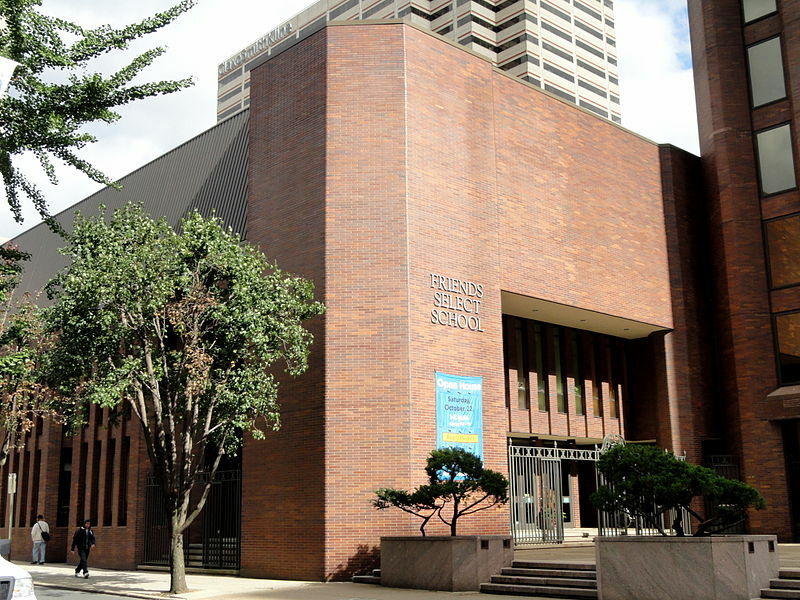 A private, religious, and often very wealthy school in the middle of a liberal city. To describe this experience as being progressive would be understating it. Wealthy, educated, and generally privileged as well. But there were students there who didn’t come from an especially privileged economic background. They lived in various poorer neighborhoods in the city, were often struggling financially (lower middle class, rather than actually poor), but were intelligent and managed to get a scholarship of some kind to attend. My mother, being a person who cared about my education, took a job that she did not especially like nor where she was treated well by an administration who looked down on her (classism and elitism was not unheard of among the Quakers, for sure), which allowed me to attend this expensive and elite school at a severely reduced rate for her to pay. Being white, I certainly had an advantage over many people in our culture, including many classmates. I didn’t understand this then, at least not the same way I am starting to understand these last few years. I grew up, until I was around 8, in a lower class blue collar neighborhood; Frankford, to be specific. I did not get along with the other local children, who were mostly white. I did not understand them. They lived in a different world than I did, even if they lived on the same block as I did. And even when I moved to a better neighborhood of Philadelphia–Holmesburg–I still didn’t understand the neighborhood children. Our experience of the world was different. For me, home always felt more like downtown Philadelphia (I still love it there) and the teachers and friends I made there. I still talk to many of them. At school, I was exposed to music, history, math, and writing in a safe space where a fight was as rare as once or twice a year. Teachers were intelligent, dedicated, and often old hippies. 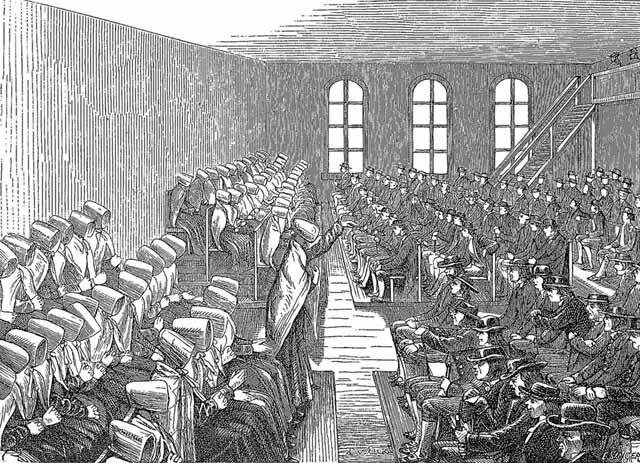 There was some diversity of color and even creed, but there was a large contingent of reformed Judaism. It would forever skew my understanding of how many Jews exist in our culture, being that there may have been 1/3 of the 53 people in my graduating class who were Jewish. Graduating high school, I knew more about the world’s religions, including Islam, Buddhism, and Hinduism, because I was educated in an environment where understanding difference and diversity was a prime value. The student body was fairly diverse, such that my first girlfriend was born in Sri Lanka. It’s strange how even after many years, a certain fondness still remains for her. But I’m getting away from the thread here (I’m getting there…). And while I looked more like the rich white Jewish students, I had more in common early on, in terms of class and home life, with many of the lower middle class black students, many of whom I spent a lot of time with around 7th and 8th grade. There, I was exposed to some more underground and political kinds rap and hip hop culture, including graffiti (which I participated in), and even started to hear some talk about race privilege (although the term ‘privilege’ was never used, that I remember). I never quite understood the nature of the difference then, but the exposure gave me some perspective. When high school came around, I was exposed to another side of this issue. I don’t remember the details, but we had a class which was dedicated to the civil rights movement. Figures such as Mohatma Gandhi, Rosa Parks, and Dr. Martin Luther King Jr. were highly venerated people in this largely wealthy, elite, liberal school. We read many of their works, learned of their many deeds and woldviews, and were encouraged to revere them. 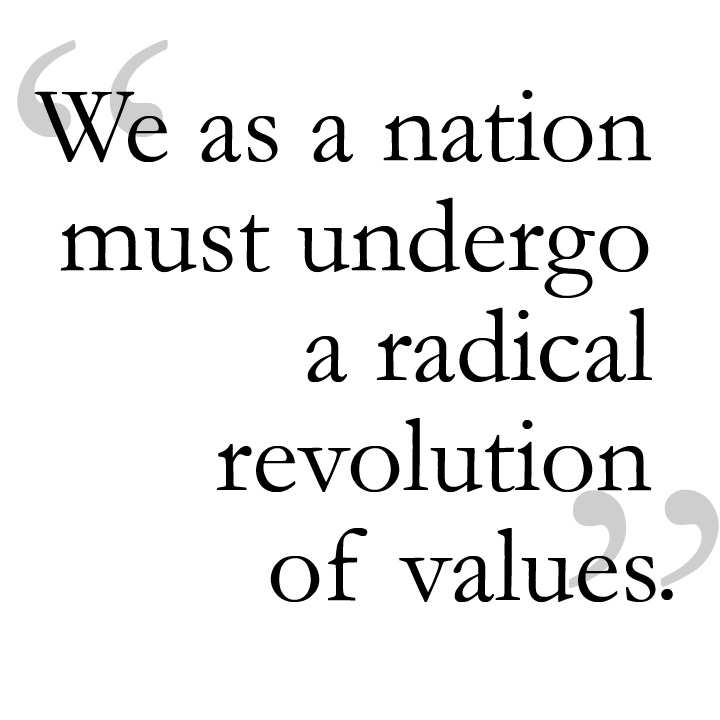 But what is clear, now, is that the bias of the Quaker view, especially in liberal Philadelphia, ignored much of the fundamental difference and tension inherent in our culture which lay at the foundation of race relations in our society. Diversity, tolerance, and peace were among the guiding principles, and so when we were exposed to civil rights history the non-violence and messages of peace were amplified while the concepts of privilege (a word I never learned in school) and radicalism were minimized (although, a history teacher did have us read the Communist Manifesto, separate from our civil rights class). This education was a privileged and largely white perspective on the history of race relations in our culture, even when we were reading the works of Dr. King or Booker T. Washington. 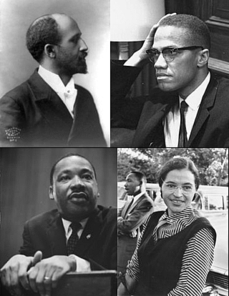 Don’t get me wrong; I learned a lot about the many protests, organizations, and thoughts of these leaders. We learned about Frederick Douglass, Marcus Garvey, Malcolm X, and many others. We learned about the Harlem Renaissance of the early 20th century, about the growth of Islam in the black community, and the black influence on modern American music. We were exposed to the concepts of social justice, equality, and it was presented by people who really cared about these things genuinely, some of whom lived through a lot of it. And no, not all my teachers were white. The few black teachers I had over the years did present us with a different perspective, but there were too many barriers for all of that perspective to strain through. It’s difficult to convey perspective and experience to young people who don’t understand themselves enough yet. At least in retrospect, I can appreciate it more. Some had been there for many of the civil rights events of the 1960’s. One was an open Marxist who taught us about the Black Panthers and had us read Howard Zinn’s famous book (I still have my copy). One of my favorite teachers from middle school is still a musician in Philadelphia, who taught me many things about myself, and who I still communicate with from time to time. Not completely unlike our Meeting for worship (Wednesdays) at school. But there was just a religious bias. A liberal (theologically and politically) religion for sure, but a religious bias. Just like all religion, it skews, re-focuses, and distorts the view of these issues, but it does care about them. I would not question the intentions, authenticity, or genuine care of the people I learned from then, but in years since I have come to look skeptically at bias of Quakerism on my early education. If you have been reading this blog since the beginning, you may remember some of these themes from my earlier writing here (before it became polyskeptic.com, and when it was just me writing here). Because while I read many atheist bloggers who talk about escaping from conservative religious backgrounds, I would describe my journey as growing out of my liberal one. I mean, I’m still a liberal (although I think I’m more radical now), but I get as annoyed with liberal theology as many people do with their former conservative theologies. It’s one of the reasons I have little patience for New Age Pagan ideas; they are too similar to the Quaker background I was raised around, and they are just as untrue. It was during a class called ‘Religious Thought,’ which was taught be a very liberal hippie woman who was about as happy and nice as anyone I’ve ever known. One day, she wrote the word ‘God’ on the blackboard, paused, and then wrote under it the word ‘good,’ then proceeded to ramble about how God was good, citing the one letter difference in spelling. At the time, this just seemed odd, and I remember thinking that this accident of language said nothing significant at all. But now, it’s one of the clearest examples of this bias playing out from my high school years. This was before I called myself an atheist, but I certainly didn’t believe in any god at this time, even if god was supposed to be just this good light within us all (as Quakers often believe). We all have biases. The biases I was raised around, at least while at school, were centered around the ideals of peace, diversity, and tolerance. They are generally good ideals, except when they skew the truth. I have come to regard the truth as being more important than tolerance, for sure, and think that lying about the nature of reality will not necessarily give us diversity or peace. Of course, those who really believe God is the peaceful light within us all are not lying, so much as just speaking nonsense. Tomorrow is the 50th anniversary of the march on Washington, which culminated with the legendary and historic speech that Dr. Martin Luther King Jr gave. Today, I am left reflective about my early education, especially in light of what I have learned since. Influences being varied, I think of KRS-ONE, who once said that peace does not come with a flower, but that when negativity comes with a small gun, positivity comes with a larger one. I think of how we remember Dr. King’s non-violence, but forget that he was a radical (especially for his time) who advocated for a shift of economic equality. I think about how many white people I know (or see in media) want to just forget the past, not talk about the racism that many see as past tense, and to just move forward ignoring the continuing tensions. Recognizing my own white privilege is a struggle for me, given my educational background. Having grown up in a cultural environment where the people are better than average in terms of their views on race, but who also gloss over the real issues still being quite real is problematic. The fact is that even despite this education and exposure to people with different experiences and perspectives on race, I still feel the impulses within me which must lead to racism in our culture. I feel the tribalistic fear and discomfort that must result, when aggregated over the whole culture, in the biases and privileges that effect other people. Within me lies the germ of racism, and only through awareness, education, and struggle do I minimize it. And I don’t know what to do about it. Studies consistently show that we unconsciously view people who look different than we do differently; that we are more likely to trust those who look like us. And I can feel those impulses, and I am ashamed of them. So no, the race problem in our culture is not past, even if we have made significant improvements. 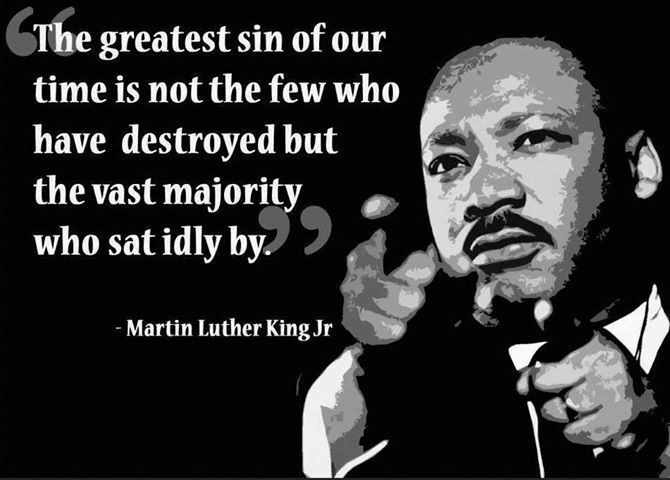 The dream of Dr. Martin Luther King Jr., whose historic speech we remember this week, is not yet realized. It’s depressing that there are millions of Americans out there who don’t see the problem or who don’t care. Because while I have a long way to go personally before I stop contributing to the culture of privilege and bias at all (if that’s even possible), there are many more who are not even this far. I find myself wishing that the world was composed of people where my current level of contribution was the worst example of privilege and bias. I’d rather it be me, who is struggling, who is the bad example rather than being surrounded by the culture we live in which is drowning in bad examples. Because while we have achieved, politically and socially, many strides towards equality there are many minds still stuck in the cultural time-warp of out instincts, fears, and cognitive biases which result in racism, sexism, etc. In many ways, we are still stuck in the ancient days of tribalism; primates dressed up in culture but inside still itching to make war with the next settlement (professional sports is an outlet for this) and to protect our own tribe. Conservative think tanks have found ways to pull at this primal drive, as “family values” has demonstrated for many years, conserving conservatism rather than do the work to grow and change. So, today I want to celebrate the achievements of the civil rights movements throughout history, especially those 50 years ago or so, but am still mired in the realization that we are nowhere near the dream. 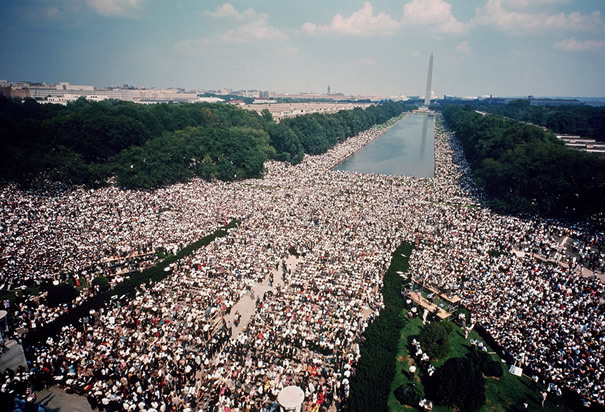 I appreciate the efforts of the great leaders of the past, including all of those people responsible for the March on Washington 50 years ago, but I am left wondering if the cycle of human ignorance and fear will ever truly end. I am angry, I am ashamed of the part I play in this still, and I look hopefully at the horizon for real change. I hope I live to see some more of that.